I like dreamers. They are not realistic in the least, and it is the most endearing thing. Reality is bills and jobs spent in cubicles and breakups and illnesses and death. We have enough reality already. That is why I like dreamers. “That is not realistic,” the world says between howls of laughter at your grandiose dreams. “Be realistic!” the world urges. Oh yes, I do love dreamers. They are not realistic in the least, and it is the most endearing thing. They believe in magic and whimsy and the ability to make a change, and I want to believe in those things, too. Airbnb is my go-to when it comes to travel accommodation, whether I'm traveling alone or with others. 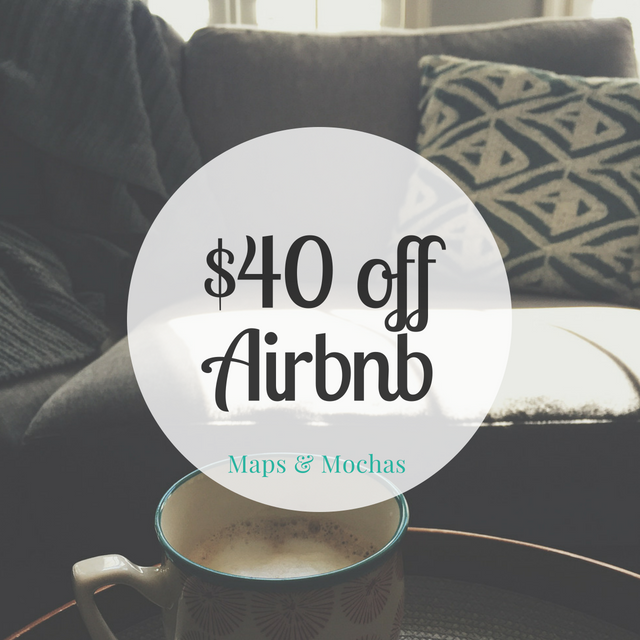 If you haven't given it a try yet, get $40 off your first stay with my referral code! I enjoy this band, and I quite enjoy this dreamy and (relatively) new song from St. Lucia's latest album, Matter. I've taken to beginning my days with a listen to this, and I encourage you to do the same. Much like a cup of a coffee, it will push you into whatever the day may hold.